This jam is now over. It ran from 2018-06-15 23:00:00 to 2018-07-30 23:00:00. We are delighted to announce another edition of GameCraft UnPlugged. A big thanks to Patrick and Emmet from The Crafty Players, who approached us in our last game jam on partnering up for a non-digital game jam! A huge thanks to The Digital Hub for hosting us and sponsoring lunch! Jamey Stegmaier feedback on winning entry! 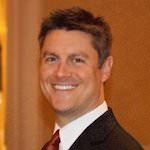 We're excited to announce that Jamey Stegmaier, designer of hit board games Viticulture, Euphoria, Scythe, and Charterstone, and part-owner of boutique publisher Stonemaier Games has agreed to look at the winning entry of the Jam and give feedback to help you take your design to the next level! For more information on Jamey and his games, follow him on Twitter, Facebook and check out the Stonemaier Games website. 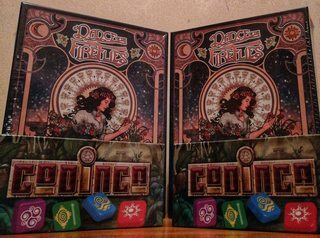 We have two copies of Condica, quick 2-4 player simple strategy game, and Dance of the Fireflies, a beautiful simple strategy game for all the family, from the wonderful folks at BackSpindle Games up for grabs! Why not say hi to BackSpindle Game on Twitter and Facebook and thank them for their support for this event! It is important that you have read the Code of Conduct before registering, people who have not read it will not be eligible for the game jam. Absolutely nothing, just yourself and your ticket! We'll provide you with all the components you need to make your game. Every team will receive the exact same components! That's part of the challenge, making the most of a limited, restricted component count. If you want to bring some colouring pencils or markers, go nuts! Nope, let us know when you check-in at registration on Saturday morning (09:30 till 09:59), and let us know what skills you have, and we can form a group in the morning before we announce the theme. Where is the The Digital Depot? From city direction, coming up Thomas Street, it will be on your right hand side. Full refunds until 48 hours before the event.